The 180-Series premium mobile line (TK-7180/8180) strikes a perfect balance of specifications, features and costs in this broad base platform designed for the public safety, public service, government and private industrial sectors. The wide frequency range, transceiver specifications and power are perfect for both metropolitan and suburban radio systems and environments. The extra large capacity and zone programming facilitate inter-agency interoperability and mutual aid and tactical channel organization. The remote mount option permits easy, aesthetically pleasing installation into existing radio consoles and contemporary sedans. Inversion Scrambling and Encryption provide first level to high level voice security, satisfying homeland security and confidentiality requirements. Emergency Call (front panel & footswitch input) provides distress notification with FleetSync, MDC-1200/G-Star and DTMF ANI formats. 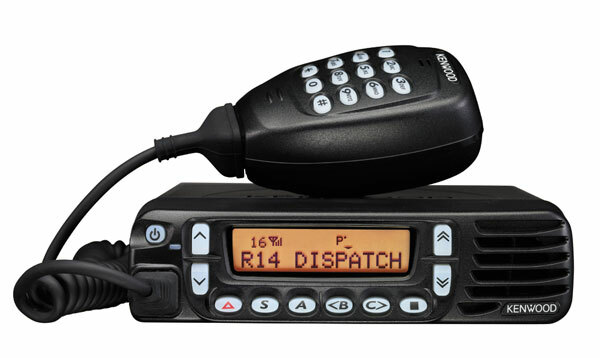 The VGS-1 option offers a unique zone / channel voice guide for no-look channel selection and a voicemail function for missed call recording while out of the vehicle. 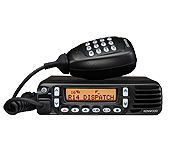 This FleetSync® equipped radio provides PTT ID, Caller ID, and text messaging. The DB-25 and programmable interface I/O's permit interface with mobile status terminals like the KDS-100, or remote control termination panels for base/control station operation.